Dealing with sponsorships. at Wootpedia: The Video Game Event Encyclopedia! This completely depends on the type of event you are hosting. Low-overhead events with smaller needs can quite easily get away with no sponsorship at all. However, sponsorships can come with many benefits including free or discounted equipment, food, facilities, prizes, money and more. Generally, sponsors require promotion in return for these assets. Non-Profit Organizations or NPO's. (Surplus revenue goes to further achieving the organizations goals and expansion rather than to shareholders). Events can be accused of "selling out". Events that concentrate too much on sponsors and not enough on their attendees tend to gradually shrink and die, or for new events, not get off the ground at all. Sponsors are a balance, and you'll need to weigh in your choices with regards to your lifeblood attendees to run a healthy event with them. What kind of sponsor is right for my event? Location. Generally, the closer the sponsor is physically to your event, the more valuable your promotion will be to them. This can determine how much you can reasonably ask from your sponsor in support. This may not be a big factor if the sponsor finds the majority of it's clients online. Local sponsors can potentially be far more valuable. Saturation. Intel and Nvidia get huge amounts of sponsorship requests every year. Unless your event is huge, chances are they won't talk to you. Local sponsors and lesser known sponsors generally get far fewer requests and in turn may have more resources to provide your event with what you want. How to contact and keep track of sponsors. Contact can vary greatly depending on the sponsor in question. It's best to contact sponsors by e-mail or snail mail in order to give them time to consider your offer and respond. Keep an ongoing record of your relationship state with sponsors; keep track of contact names and contact information. An easy way to do this is by keeping a spreadsheet in Google Docs. Make your life easier with a sell sheet. You can save a lot of time and writing by putting together a "sell sheet"; a short and concise overview of what you can offer your sponsor and what you'd like in return. Chances are there will be people at the organization who want to support your event, and would be greatly helped by a sell sheet. 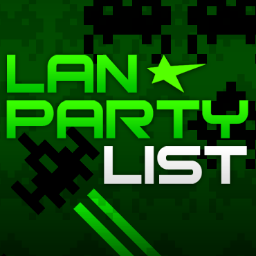 Example: LAN Party EH's Starcraft Tournament Sponsor Information Sheet. Your event's name, your contact information, date and time information. Why the sponsor should choose you. Backed up by statistical information. What you are offering to the sponsor. What you'd like in return. A list of URL's to your website and additional information as needed. Contact sponsors early and often. It's best to contact a sponsor at the beginning of the year just as the new budgets are being implemented and there is a fresh budget for sponsorship initiatives. Take record of your event! Taking pictures and video of your event may seem really obvious, but it's surprisingly easy to forget while in the middle of your frag-a-thon. Ideally you will want more than one person dedicated to taking impressive photography and videos at the event. For large events you may want more than one dedicated photographer, along with a dedicated cinematographer (for video footage). Let your sponsor know what happened! Following up to say thanks is the most important step for securing healthy, long-term sponsorship relationships. Send a small debriefing with the final event statistics, some impressive photos, and perhaps some video (upload video to YouTube to help promote your event too!). This will enable your contact at the organization to present this at their next meeting and in turn, secure more assets for you for your next event! Encourage your attendees to give their thanks. If your attendees had a good time, don't be shy about asking them to leave a thankful note on your sponsors' Twitter, Facebook or other social networking page. This will greatly encourage their PR team to support future community events, especially yours.